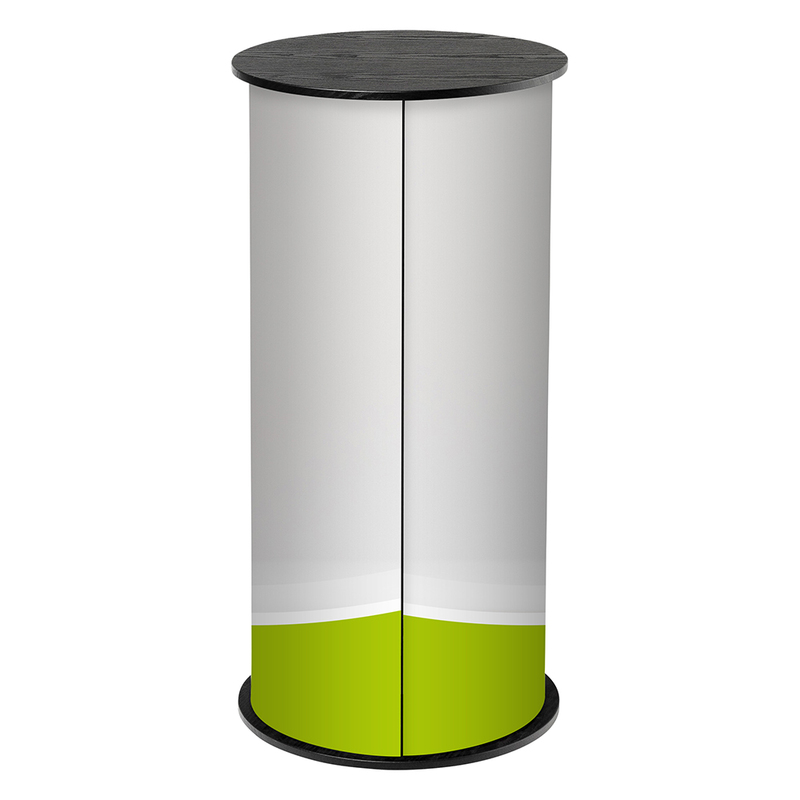 Categories Promotion Counter Exhibition counter "Professional Round"
Exhibition counter "Professional Round" is a round, elegant table that makes your advertising visible from all sides. 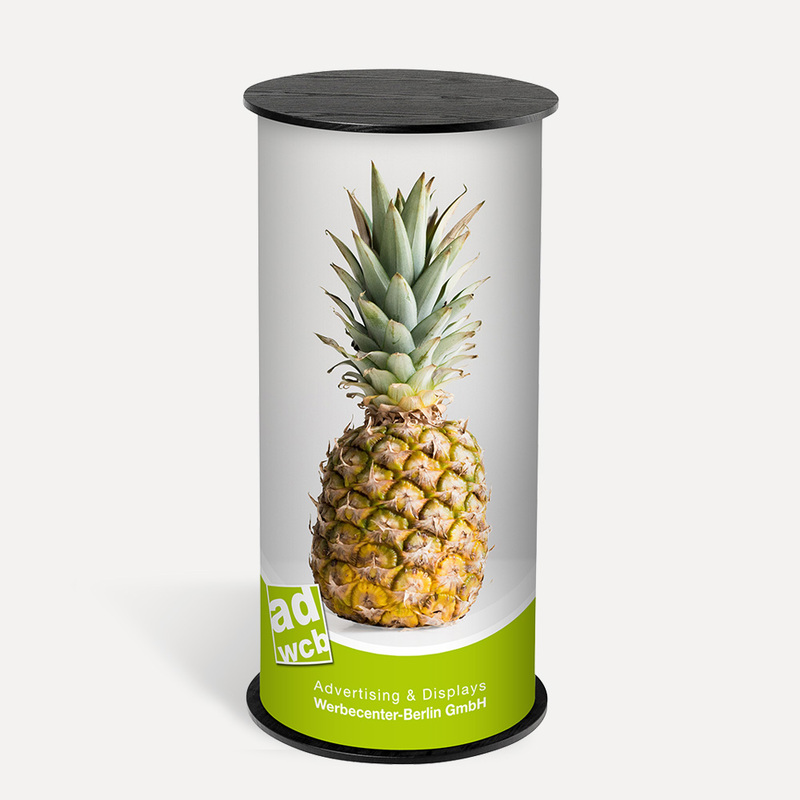 Promotion counter "Professional Round" is a round, elegant table that makes your advertising visible from all sides. 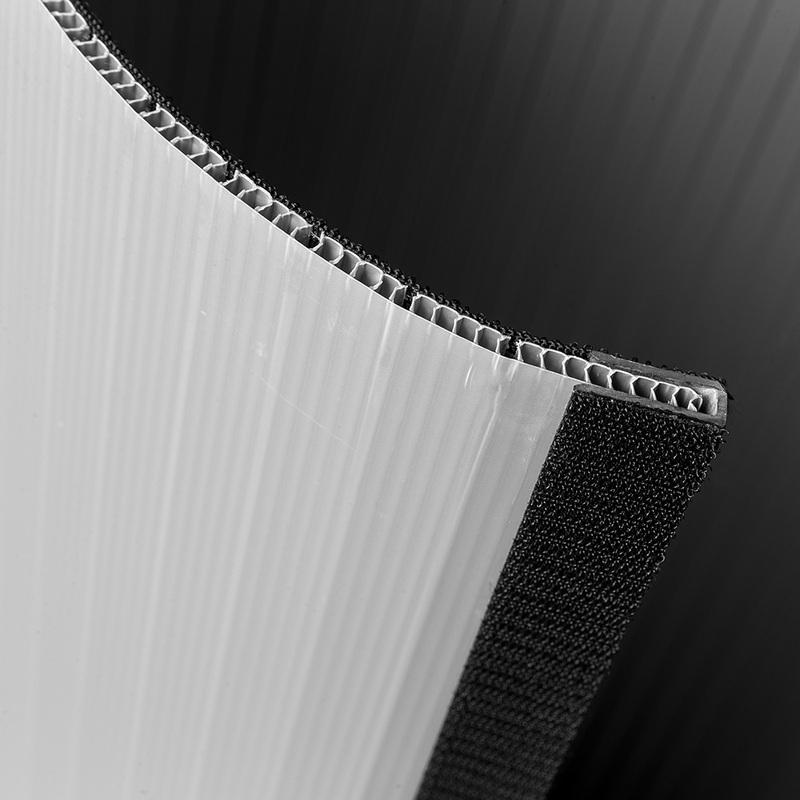 Your motif is attached with velcro to the curved canal structure sheet that holds the counter so changing your print when renewing your message is done within seconds. 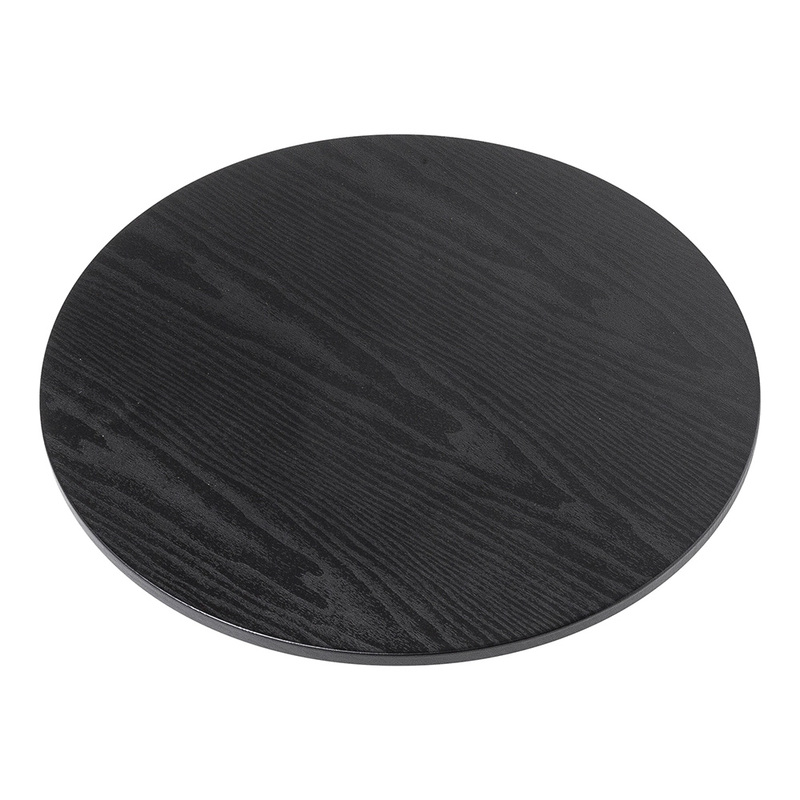 Using an easy click and go system, the canal sheet will be fixed to the black wooden floor and top plate to guarantee the promotion counter's stability. 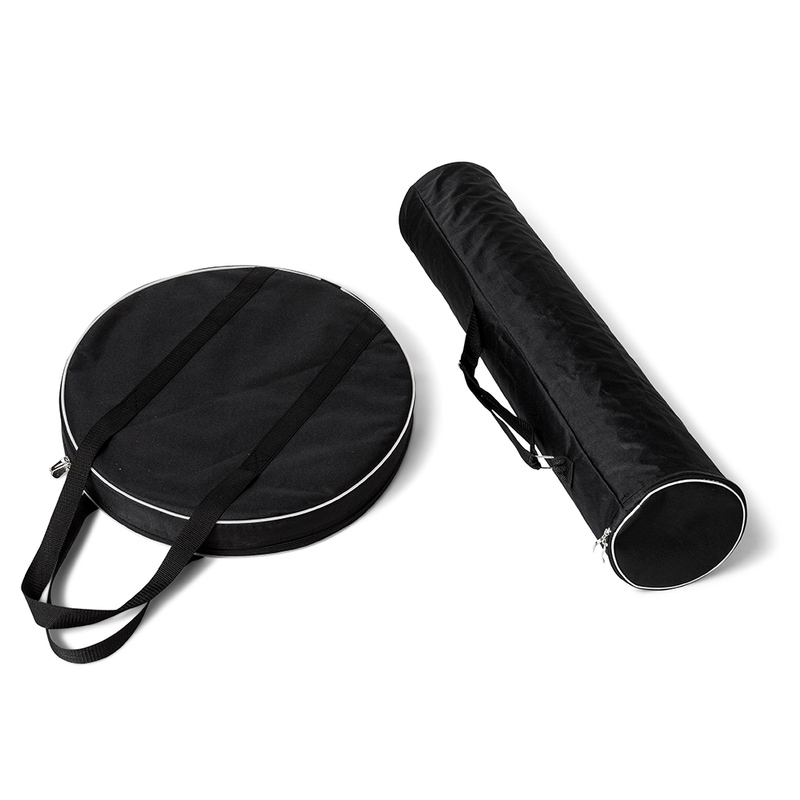 Ensuring safe transportation, two padded bags are included in this set to protect the wooden plates and the flexible sheet with your print. Assembling instruction: Counter "Professional Round"